These weekly winners slots reviews reports are a combination of both jackpot wins and the newer slots reviews at US casinos. GT will publish a mix of 3 posts weekly to update casino players. NOTE: This is the final winners and slots reviews reporting. The Slots Winners & Reviews page is packed with archived reports and we invite slot players to enjoy the read. GT will continue to add fresh, unique content to the site weekly. Watch for updates at the Gambling Teachers Blog. Rhea and her husband, Steve were visiting Vegas after a death in the family. “We really needed a break and it’s good to have something positive happen.” Plans for the future including paying off their mortgage, retiring and helping their son. “He’s still a bachelor, so maybe this will increase his odds,” smiled Shaw. Barbara Trujillo, 56, had bet just $5 playing a Wheel of Fortune slot at Gold Rush Hotel & Casino in Colorado. “At first I didn’t know what happened, but when I realized when I won the jackpot I got really excited,” stated a shocked Trujillo. The Megajackpot hit for a golden $421,472. The retired local has no set plans. 4) Slingo Mystery Bonus: once again, slots and bingo combine to create a slot game that features Sizzling Wilds, stacked/clustered wilds, a top box, 50 paylines and 5 reels. The top box displays a game card with 25 squares randomly numbered from 1-75 and five reels corresponding to the 5 columns of the card. Three scatters activate the Slingo bonus top box game for 8-16 spins. Therefore, a number on the reel matching a number in the corresponding column translates to a spot hit. A joker symbol is also considered a spot hit and assists with completing the SLINGO. Scoring is as follows: a) spot hit=1-10 credits, b) SLINGO=20 credits or a full card=100 credits, c) mystery award=60-1000 credits. All credits accumulate when spins completed and are X line bet. It’s no Mystery why this combination attracts slot players. 5) The Three Stooges: the return of the Stooges is always good news. Toss in the images, sights, sounds and symbols of pies, football helmets, stethoscopes and you have a hit game. And, there’s more with wild symbols depicting Larry playing the fiddle or Curly or Moe dancing. Grab a wild symbol and the entire reel becomes wild for more credits. The Wild Stooges Bonus begins when three or more classic TV symbols land on adjacent reels for 3 free spins each and includes 2 rows of wild symbols. The top progressive jackpots are won with 5 matching Stooge images as follows: Larry jackpot=$5000, Curly=$10,000 and Moe=$15,000. If you are a Stooge fan, this slot game is for you. Joseph Finnegan, 48 from New York knows where his jackpot win will benefit the most. He is president of a charitable foundation, so an easy decision for this retired executive. Finnegan “just had a feeling” and decided to play two Wheel of Fortune dollar slots at the Spa Casino in Palm Springs, CA. Even when his hunch produced a $460,719. Megajackpot win, he was still in an unbelievable state of mind. In the end, Finnegan and the charities win big. Dalid Leviy, a clothing shop owner from Karmiel, Israel was patiently waiting her turn at the quarter Wheel of Fortune slot games at Caesars Palace in Vegas. Once she started playing, it was a short wait and only a $30 wager that produced a $282,951 jackpot. “At first I thought I won $4000, but then my family told me about the jackpot,” stated Leviy. It was too soon to make plans for her win. 3) Wizard of Oz: Wicked Riches and Glinda are two of the newer versions for this series based on the popular film loved by all. The similarities with both versions are four progressive-level jackpots, five reels with top box display of progressives, three bonus features and both offer 20 or 40 line games. Both versions offers a free spin bonus along with the Tornado Feature directed at one of the four progressive jackpots. During play with max coin in play, a tornado randomly appears on the reels. You then select one of eight bars that reveal either credits or a progressive win. Moving to the differences, Wicked Riches symbols transform into wild payouts when a Flying Monkey symbol appears on the third reel. At that time, more flying monkeys get into the game and transform all the other similar symbols into wilds. With Glenda the Good Witch, Glenda appears during a spin and transforms one of the five reels into a Wild Reel thereby resulting in better payouts. 2) River Wild: Known as the Outdoor Wild Series, the games in this group are River Wild, Forest Wild, Glacier Wild and Grizzly Wild. 3) Jeopardy! : the introduction of a multi level progressive slot for this popular TV game show is sure to please new and veteran fans. The game board is in place at the top box along with 60 paylines plus stacked and clustered wilds for some nice payouts. Make that ante/side bet to qualify for a jackpot resetting at 500,000 for five Jeopardy! symbols. The progressive levels are: a) free spin round activated by 5 scattered bonus symbols. b) reel spin displays a credit value as a symbol, and then the related top box value shows a blank, a bonus re-trigger or a progressive win. c) if you win the progressive or turn over all the spots in the category, you move to Double Jeopardy! At that time, the categories and all the bonus values are doubled for another round of freebie spins and possible progressive win. Winning that bonus event will qualify the player for Final Jeopardy! where you pick one of 5 categories for bonus credits or a progressive for at least $1000. Jump for Joy as Jeopardy! has jumped up the Jackpots. Combination of a Video Poker product and Community Gaming. Contains 6 video poker base games. Contains 4 Big Event Poker Bonuses--these are Community Bonuses. Players that enjoy Big Event Poker are experiencing the first ever combination of Video Poker and WMS innovative Community Gaming product category. Players can enjoy their favorite Video Poker games, but in addition enjoy the randomly triggered Big Event bonuses. 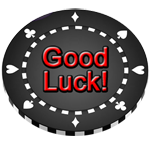 Betting max credits and placing the Big Event bet buys eligibility for the Big Event Poker Bonus. When the Bonus triggers, all eligible players are provided an exciting break from their video poker action to enter the community bonus and win together. To qualify for random bonuses, you play 7 coins and receive higher payouts plus seven seconds of time to make a decision. If more than one bonus occurs within those 7 seconds, it is free. Bonuses are random and according to WMS Gaming come around about every 3 1/2 minutes. Tip: if you play faster, you will rack up more time for bonuses than another player who plays slower. However, you can never have more than 30 seconds of time. Note the equivalent IGT version. Example: Double Four of a Kind=IGT Double Bonus. Each eligible player is awarded a free poker hand with 4 cards dealt face up and the 5th card face down. The 4 up cards are all the same suit between 10 and Ace. Each player hits draw to see what they have won. Each eligible player is shown a 5 card hand that fans out, revealing each card one at a time. Once all 5 cards are revealed, the player wins the amount corresponding to that hand. All eligible players are awarded a random credit prize. when played with optimum strategy. of IGT's Video Poker market share, that is indeed a Big Event! Mr. Rodriguez, a patron at Binions, Las Vegas for 20 years needed only 18 spins at a Red, White & Blue Wheel of Fortune slot game to win the $1,348,633. Megajackpot. “When it hit, I thought I won $2000,” stated the US Air Force veteran. There are no plans yet for his windfall. Bruce Whyte from Winnipeg, MB, Canada travels monthly to the Seven Clans Casino in Thief River, MN. “This trip was for a special boxer celebration. It was just a routine night” said the happy winner who hit for $251,878. at a quarter Wheel of Fortune slot. After playing only $35, Whyte was in shock. “I thought I broke the machine.” Investing wisely is his plan for the future. GT is attentive about getting the word out about our free programs, lessons and add-ons offered, however, we ask your assistance and consideration in promoting us. While waiting for his flight home to Akron, OH, Jerome Volchko bet $10 at a Wheel of Fortune quarter slot in McCarran Airport, Las Vegas. His Vegas trip with family had not been that great, but this last-minute stop produced a $2 million dollar windfall for the 43-year-old employee of Wonder Bread. This new money will pay some bills, buy a new home and allow possible early retirement.